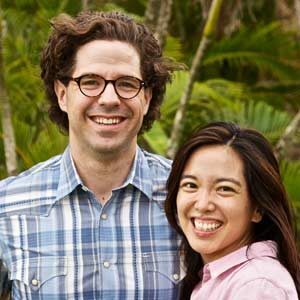 Aki Kamozawa and H. Alexander Talbot are the owners of Ideas in Food, a consulting business that works with chefs and restaurants. They’re also the authors of a cookbook by the same name, Ideas in Food. Their company and book grew out of their blog, Ideas in Food, which they started in 2004 as a way to record their daily work in restaurant kitchens. Kamozawa and Talbot won an IACP award in 2012 for their recipe writing and have also been featured in the New York Times, Popular Science, Food & Wine, and Saveur, among others.